All over the Internet, the same message is being repeated over and over: we will not be censored. 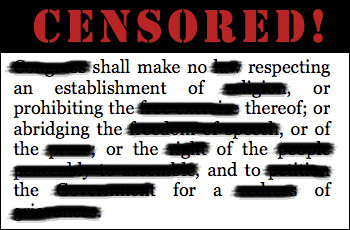 Last month, I published a post explaining how SOPA, PIPA, and other censorship initiatives affect writers. Put simply, censorship is bad for writers. In fact, it’s terrible. Free speech is essential to anyone who writes or creates art. This month, on January 24, the U.S. Senate will meet to take a closer look at PIPA. There are plenty of senators who have already stated support for the bill, many of whom have received significant campaign funding from the very entities that are pushing bills like SOPA and PIPA. But the Internet isn’t having it. Webmasters, bloggers, Tumblrs, Tweeters, and Redditors are banding together to fight against these bills. Ordinary citizens of the web are expressing opposition to censorship in creative ways: making art, censoring their avatars and websites, calling their senators and representatives, signing petitions, and organizing a coordinated strike. The big players are lining up too. WordPress and Creative Commons have recently issued official statements opposing these bills. Other opponents of the bills include Mozilla, Facebook, Ebay, Twitter, Tumblr, and Google. Tomorrow, on January 18, the Internet will go on strike. Participating websites will essentially shut down and replace their content with information about these bills. The goal of the strike is to show opposition to the bills but more importantly to inform the public and encourage people to take action. Reddit, Cheezburger Network, Boing Boing, and Wikipedia have all announced that they will join the strike. The confirmed list of participants is big and growing fast. It’s available at sopastrike.com. On social media sites, especially Twitter, there is a constant stream of remarks on these issues with a good chunk of those tweets pleading with sites like Facebook, Twitter, and YouTube to participate in the strike in some way. Their participation could tip the scales. One of the biggest problems with SOPA and PIPA is that most people aren’t aware that the bills are being considered. Prime time television news coverage on SOPA and PIPA has been lacking (which isn’t surprising, considering many of those networks are owned by the very corporations that are trying to pass the bills). So, if everybody’s favorite websites simultaneously go dark and offer one common message and call to action, those senators will get a whole lot of phone calls and emails. Some say that by striking for mere minutes, Facebook alone could get the bill killed by sending a massive number of users to flood politicians with calls and emails. Visit AmericanCensorship.org. The site has quick links that U.S. citizens can can use to call senators or email representatives. Let them know that you’re a voter and/or citizen who opposes SOPA and PIPA. The site also offers actions that non-U.S. citizens can take. Censorship and blacklisting in the U.S. will affect websites worldwide. Got a WordPress website? Get the Stop SOPA Ribbon. 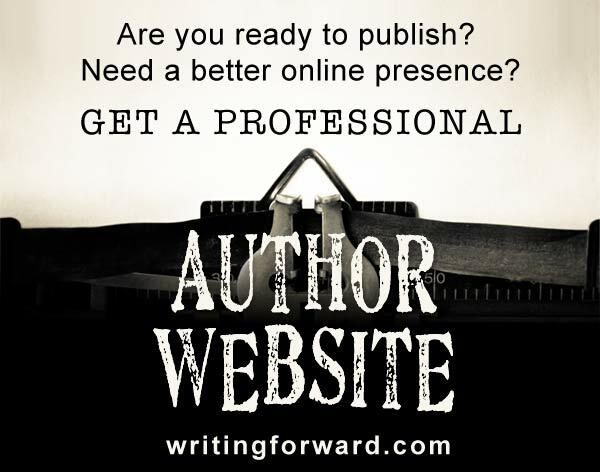 Writing Forward is proudly displaying it in the upper right-hand corner. It took less than two minutes to install. There are several other anti-censorship plugins available. Join the SOPA Strike tomorrow, January 18. Use Twitter to express your opposition with hashtags: #SOPA, #PIPA, #SOPASTRIKE, and #PIPABlackout. Tip: use one hashtag per tweet. Put a SOPA badge on your social media profiles. Then tweet about it. Talk about it. Let the world know that censorship is wrong and you’re fighting against it. My gut tells me this fight is just beginning. This isn’t the first time the U.S. government or big businesses have attempted to take control of the Internet or pass censorship legislation and it won’t be the last. As a copyright holder and content creator, I am concerned about copyright theft and want to see online piracy curbed, but not at the cost of blacklisting or censorship, especially since most objective legal experts agree that SOPA and PIPA give the government and big corporations undue power while putting free speech at risk. These experts have also stressed that the bills do absolutely nothing to stop piracy because there are glaring loopholes that these pirates can easily use. I’m also not crazy about taking time away from Writing Forward’s focus, which is, of course, creative writing. But censorship is specifically dangerous to writers and artists, and in today’s market, we writers need the Internet as it has become the foremost tool in creating, publishing, and promoting written works. I feel strongly that this issue is critical and of great concern to writers, so I hope you will join me in standing against any attempt at censorship or internet blacklisting. And as always, I hope you keep writing. 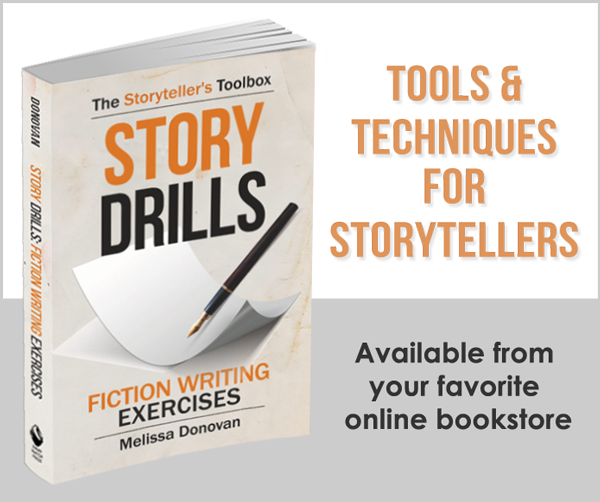 Note: while most of the content on Writing Forward is copyrighted with all rights reserved to the author, the text in this article is licensed under a Creative Commons Attribution 3.0 Unported License. You are free to share and distribute, print and republish this text. SOPA will happen whether the internet (whatever you mean by that) doesn’t like it or not. Silly little blogs like boing boing are only crying because they know they will go out of business if they can’t continue to plagiarise and regurgitate content. Maybe if companies like google and Facebook took a stand SOPA wouldn’t be necessary. If google stopped linking to illegal content (using the pathetic impartiality excuse) then SOPA wouldn’t have the support that it has from the creative industries. As a writer who has felt the burn of illegal content theft over and over again I frankly cannot wait for SOPA to become law. The sooner websites that facilitate intellectual property theft are flushed away the better. In years to come SOPA will be thanked for remaking the web into something truly great – a place where content creators can safely exist without the fear of google / twitter / Facebook destroying their business with a few unchecked links. Thank you for sharing your views on SOPA. You’re the first person I’ve encountered who supports it. Do you by any chance work in the entertainment industry? I know of a writer/actor named Steve Adams. Google has and does block or penalize sites (at its own discretion) when they are brought to its attention (for various reasons). However, SOPA forces Google and other private companies to police the web on behalf of the U.S. government. Do you believe private parties should be legally required to police or penalize criminals and bear the cost of doing so? People on Facebook often post videos and photos. Under SOPA, if you post a video from a kid’s birthday party and a copyrighted song is playing in the background, you could be arrested and Facebook could be blacklisted. That’s not right. It’s easy to say that nobody in their right mind would prosecute someone for playing a song at a kid’s birthday party, but history shows that such things have happened all too often. The issue that most people have with SOPA and PIPA are not that these bills are trying to stop piracy. The problem is that they 1. Do not actually do anything to stop piracy, and 2. These bills censor and criminalize non-criminals while giving the government and big corporations undue power (as if they don’t have enough undue power already). I’ve seen many people express concern that the bills are actually power grabs. You have to wonder why a proposed law would give a corporation the power to shut down a (much smaller) website without some kind of legal process. Others have wondered if these bills are a response to the threat of new-technology competition. Since the bills don’t do much to stop piracy, we have to wonder what other motivations could be at work. I agree with you that we need to do more to stop copyright theft. I too have felt the burn of illegal content theft and have had to send my share of cease-and-desist letters. However, I don’t think it’s logical to inhibit free speech in order to catch a few thieves. I also understand that some people will be willing to give up freedom for security. I’m just not one of them. I am in the entertainment industry. I’m a musician. And I’ve had my work ripped off all over the place whilst listening to idiots tell me that the exposure is good for me. The “Radiohead are giving it away for free” argument is a joke. It’s easy to altruistic and turn on the label when the label has already made you rich! So let’s say that I write a song. I get a small record deal. Someone buys my CD and plays it on their stereo at home whilst recordings their kids dancing to it and they upload it to Facebook to show all their friends. My song then gets played in public but I DON’T GET PAID. How on earth can you say that is right? If that means that Facebook has to make sure that all of it’s content is legal then so be it. It is companies like Facebook and Twitter and Google (since they link to pirated content and thrive on the adverts they soak it in) that have built their castles on legal sand. Did they really think that it was ok to actively promote illegal material while profiting from it? Perhaps I should go into a record store, steal a bunch of CDs from the racks, go outside and then play them in my car as entertainment for someone eating their picnic AND then charge them for the privilege of listening to the tunes I’ve just stolen. That is EXACTLY what google / Facebook / twitter do. Sure, they hide behind the “it’s too big, we can’t check everything, it’s not our fault” excuse but it’s all BS. You’re quick to blame SOPA, or the person complaining, but why not blame Facebook for not correctly policing what goes on their servers? Anyway, it’s all academic. A handful of crap websites go dark for a day. The world yawns. This is only something that bothers the internet dweebs that run sites that depend on the ability to flout the law and will never even reach the ears or eyes of the vast majority of people. SOPA will change the internet. It will make it a place where creative people can flourish. The plagiarists, however… they will have to find another way to make money out of other people’s work. Thanks for responding. I appreciate you taking the time to engage in a conversation about this issue. Let’s say I buy a movie, then invite five friends over to watch it. Should I charge all of them and send the money to the movie studio who owns the film? Should I be legally required, by law, to do that? Should I be convicted as a felon if I do not? What about lending books to friends? What if I’m driving around town with my windows down and your song blaring so all the public can hear it? Should I have to compensate you? In the example where a child is filmed and music happens to be playing in the background, you’re essentially saying that either you, as the song’s copyright holder, should be compensated or that video should not be shared in public. I think that’s a valid issue to bring up and if you’re the copyright holder, I think it should be your decision on whether you demand compensation and/or removal of the video. YouTube’s business model is to provide a service that allows people to share videos. They are not actively and intentionally using copyrighted material for profit. Sites like YouTube and Facebook merely provide a platform, like a public space or a park. If you hold them liable for copyright infringement when one of their users uploads a video with your song in it, you’re essentially saying that if people in a park are engaging in criminal activity, whoever owns the park should be held liable. Many supporters of SOPA fail to do proper research to learn about current copyright law and copyright policies of social media platforms. Sites like Google and YouTube are known to be highly responsive to copyright claims. If you see someone using your copyrighted material on YouTube, you can send YouTube a request and they will check your claim, then remove that content. I have seen this happen countless times. Additionally, YouTube provides a feature that can be used to automatically detect your copyrighted material in videos that other users are attempting to upload or share. Here’s the link: http://www.youtube.com/t/dmca_policy. As for the video of a kid dancing with your music playing in the background, my personal opinion is that yes, this video is likely to help you make money rather than prevent you from earning money. I can’t tell you how many times I’ve seen such videos online and within minutes clicked over to iTunes to buy the song. And I often see comments in YouTube videos asking for the song and artist because people want to buy it. It’s fairly obvious to me that taking down such content only harms sales, but again, I think it’s the copyright holder’s choice. Having said all that, SOPA/PIPA is not supposed to affect any websites within the U.S., which obviously includes YouTube, Facebook, and Google. Its supporters say that the bill’s sole purpose is to provide a way to prevent piracy on foreign websites. We already have a legal system in place here in the U.S. where copyright holders can effectively deal with copyright violations. You issue a cease-and-desist letter, you request the platform provider remove the material, you file a suit. You are already protected not only under the law but also under the policies of sites like YouTube. Regardless, there are countless provisions in SOPA that are ridiculous. Even if it contained a way to prevent piracy, it’s loaded with other provisions that are harmful. For example, I do not think if someone posts a video that has your song playing in the background, they should be criminalized as a felon (although there may be some other repercussion – felony is a bit extreme), and SOPA allows for that. I do not think that corporations, copyright holders (including myself! ), or the government should be able to shut down an entire website (or business) based on a claim without notification to the site owner because I believe in due process and that people are innocent until proven guilty. Finally, I don’t believe big corporations should be using the legislative process to further their business interests, eliminate their competition, or gain monopoly over the market. If a bill comes along that does indeed curb piracy without infringing on my other rights and freedoms, I will gladly support it. Again, I agree with you: it should be up to you, as the copyright holder, how your content is used and shared. But I also strongly point out that there is already a system in place for you to do that. And penalizing tons of other legitimate content creators and YouTube users by setting up laws that would make YouTube an impossible business model is, to me, a bad move for all involved. Whatever your opinion on the matter, even if you fully support SOPA with all its provisions, I respect your opinion and thank you for sharing your ideas and thoughts on this matter. I think it’s an important discussion to have. No. You shouldn’t have to compensate me. But what if you charge money to people for entry to your house before you hit play on the DVD? What if you charge people money to listen to your car stereo? Or, what if you even attempt to charge money? Is that fair? Is that right? Is that legal? No. No. No. And that’s why google, youtube, Facebook, twitter etc. etc. are all quaking in their boots because they know they don’t have the moral high ground here when it all rattles out because they ARE charging people money to see other peoples content. The kid dancing to the music in your previous example – youtube puts ads on it. So youtube uses both the kids videos and the song that belongs to someone else and leverages it for financial gain. This isn’t about freedom. It’s about money. Do I care if a kid uploads a video with my song it in to his own website? No. I don’t. And I won’t be going after that kid because to do so would be absurd. Do I care if the kid uploads it to youtube or Facebook where it gets slathered in adverts (and the companies benefit, not the kid!)? Yes, I do. Because then someone is making money from my work. Of course, they are also making money from the kids video as well but that is his problem, not mine. Currently if I issue a complaint to Facebook (and I’ve tried) it’s ignored. It’s called “fair use”. What an absolute joke. So this means that someone can upload my song, say good and bad things about it (because currently it’s ok to steal as long as you comment) and then have the owner of the website they have uploaded it to profit from it! Is that really fair? Honestly, the internet is going to change. The give it away culture will die (thank God) and we will be able to restore some kind of value to entertainment (and anything else that can be digitised and shared). I think you and I are in agreement on a lot of the issues involved. For example, in terms of the law, I don’t think someone should legally be able to charge all their friends and make a profit by showing a movie or playing a song. I think it should be up to the copyrighter holder to decide whether to pursue action in cases like those. I think doing so would be petty, but legal. And if those people were renters, I think prosecuting the landlord would be completely unfair and unreasonable. Where we disagree is how YouTube functions as a service provider and what responsibility they have in protecting copyright. I can’t speak to how responsive Facebook is with regards to removing copyrighted material but I do know YouTube and Amazon are highly responsive. I think you have the right to request they take down your intellectual property and I think they have a responsibility to remove it. And in fact, if you get a court order, they will have to remove it. So, again – U.S. law already provides a way for you to handle copyright violations in these cases. In the example with a kid dancing and your music playing in the background, I definitely don’t see YouTube “making money off your song.” I see them making money off providing a digital space to whoever uploaded the video. And I would hold that person liable, not YouTube. Obviously, YouTube is more attractive as the entity to sue or prosecute because they have money and the young mom who uploaded the video probably doesn’t. This is where the issue is about money, not what’s right or fair. Again, the analogy would be a park. Let’s say I build a park and put billboards and ads in the park to pay for maintenance and to make a profit. If someone uses my park as a space to sell or distribute pirated copies of your music (and I’m essentially making money by providing that space), do you think I should be held liable? With regards to Fair Use, we’re getting into some gray areas. I don’t know in what context your song was shared on Facebook but Fair Use laws have been around for a while and do allow people to use copyrighted material for research, commentary, parody, and other purposes. I see this as necessary to the spread of thoughts and ideas in our culture and I fully support it. Like YouTube, I don’t see Facebook as profiting from a user uploading your video; the service they offer is digital space. For the record, if someone loads your full song to Facebook and says “I just want to say I like this song. Fair use,” I personally don’t think that’s fair at all, and you should be able to request removal. If they show a 30-second excerpt and leave some commentary, then I think that’s fair. Everyone probably has vastly different opinions on where these lines should be drawn, so we’re really getting into minutia here. Here’s something else to think about: Let’s say I go to a public space, set up my speakers, and play ten songs. I’m breaking the law, whether I charge the public or not. But let’s say of those songs, five of the artists say, “Thanks for the exposure!” while five others say, “I’m taking you to court!” Artists themselves differ on how they want the law to treat fair use. Whatever laws we implement need to take everyone’s rights and ideas into consideration. In any case, SOPA and PIPA still have language in them that go far beyond forcing YouTube or Facebook to remove a video. We can come up with a law that is fair to all parties involved – one that curbs piracy while protecting freedoms and rights. I haven’t read the bill and have to rely on editorial comment, but I’m totally in favor of the concept. It’s become second nature for people to abuse copyright. My hope is that the industry (Google etc) will negotiate the safeguards they think they need, but the thieves need to be stopped. Thank you for taking an interest in both piracy and abuse in legislation. I’d like to share an article that provides a point-by-point breakdown of why SOPA does more harm than good: http://mashable.com/2012/01/17/sopa-dangerous-opinion/. My understanding is that there is no need to negotiate. Because the bill doesn’t actually stop piracy (in fact, there’s already a browser add-on available that deftly circumvents blockage), it fails to accomplish its core, stated goal, rendering it obsolete. Also of interest, it’s been reported that many of the companies who support (and fund) this bill have distributed piracy software and “pirated” their own content. They do this because the more an intellectual property gets pirated, the more legitimate copies of the property get sold (a simple fact of sales and marketing). Despite that fact, I certainly don’t think anyone has the right to distribute someone else’s copyrighted work, even if it does effectively boost the sales and profit for that work. But it certainly raises the question of why these copyright holders are so intent on passing such a law, especially one that doesn’t actually do anything to stop piracy and that creates a power shift giving control of the Internet to big corporations. Of most interest to me, personally, is that the bill allows a copyright holder to issue a complaint against a site. That site is then blocked by Google search, ad servers, and financial services (like PayPal). The accused is NOT notified of the complaint or the blockage and will not find out about it until they realize their site is no longer listed in search engines and money is no longer being transferred into their account. So, if you don’t like my website because it’s getting traffic you want or if I say something that offends you, all you have to do is file this complaint against me and I’m shut down. There may be recourse that the accused can take but it would be incredibly costly and risky. I encourage you to do your own research and evaluate both sides of the argument. Other than “we need to stop piracy,” which I agree with, I have yet to hear one rational, logical argument for passing SOPA or PIPA. But I’m open. Personally, I hope the bill will get shot down and they will come up with something fair and effective. This whole thing is, in my opinion, a big waste of time and money. Thanks for the response, Melissa. To address the point you made, from what I understand, a website would be at risk of blocking if it violates someone ele’s copyright, not because someone didn’t like you. And if someone alleges copyright infringement malicously then that person is liable for damages. I’ve just been reading about the blatant stealing and renaming of e-books which are resold on Amazon alongside the original, copyrighted work. In my view, Amazon are acting like receivers of stolen goods, but they won’t do enough to stop it because they make money regardless. It’s a time for a bill to stop these practices. This is a great discussion! Thanks for coming back and raising more questions. They are good and challenging. The problem with the language of the bill is that there’s no due process. Don’t you think that it should be proven in a court of law that a person violated copyright before they are penalized? This bill allows for blockage of income and total shutdown before the case is reviewed or proven. Yes, legally, there could be retribution for false claims, but how many self-published authors, bloggers, or web start-ups could afford to get into a legal battle with some big huge corporation? And how much income would a small-time publisher lose between the shutdown and the trial? If it’s their livelihood and the claim turns out to be false, they could be innocent yet rendered unable to feed their family for months, all on a claim. UPDATE: There is actually no recourse for the accused even after he or she is declared innocent, as this video explains: http://youtu.be/tzqMoOk9NWc. All the accuser has to do is claim to have believed there was copyright infringement and they are not liable for damages. I guess the philosophical question that floats to the surface is this: how fair is it to punish someone who hasn’t been convicted? Amazon is a different problem altogether and there are already laws in the U.S. that Amazon has to follow. However, I have heard that Amazon is quite cooperative and proactive with copyright claims. Even if they’re not, I don’t think they should be legally obligated under the law to police or penalize anyone. That is simply not their role or function (they are a retailer, not law enforcement). However, if a court issues an order for them to remove an item, they obviously have to follow the order. I got that from a message board where someone’s blog posts were being sold as ebooks and they were wondering what to do. Turns out, Amazon had pulled the copyright violating book just two hours after the copyright holder reported it. So it sounds to me like Amazon is handling such cases quite well. On the other hand, now I’m wondering if anyone is selling my copyrighted content as ebooks! Seems like You Tube is biggest problem here among others. Steve got reimbursed for his copyright fee when someone purchased his song. Copyright is supposed to prevent plagerism. Noone is plagerising his song that they bought & paid for but if given freely on you Tube to others, Steve is loosing out. OK, just let You Tube, & other freebie sites restrict people from exhibiting copyrighted material since these sites are disgustingly out of hand already w/ multi-millions of people using them to post their personal stupid shlock. Maybe some restrictions would be a good control factor on these particular sites. I do however once in a while enjoy seeing a video of a particular song performed that I like. If I could no longer, disregard everything I said, above. Smile. When you say “these sites are disgustingly out of hand already w/ multi-millions of people using them to post their personal stupid shlock,” it sounds to me like you’re advocating government censorship simply because you don’t like some of the stuff people are creating and sharing on the web. I’m sorry, but I don’t think we should allow the government to censor or shut down a website because we personally think its content is “stupid schlock.” And in fact, doing so is unconstitutional here in the U.S. Already took time to type & submit my comment, what gives, you just wasted my last 20 min. by making it disappear? The first time you leave a comment, it goes into moderation so we can check for spam. This is pretty standard on most blogs. The comment is held until the website manager (or comment moderator) can review and approve it. Just trying to keep the site clean and spam-free!